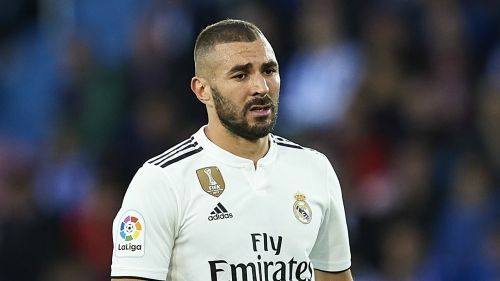 Karim Benzema is facing a fitness battle for Real Madrid's first Clasico of the season against Barcelona after Los Blancos confirmed the striker has injured his right hamstring. The Frenchman was replaced at half-time of Saturday's shock 1-0 defeat to Deportivo Alaves, which saw Madrid rack up a fourth straight match without a goal in all competitions. Madrid coach Julen Lopetegui confirmed after the game that both Benzema and Gareth Bale suffered injuries as his side's winless run extended to four matches. No timescale has been put on a return for Benzema, who has four LaLiga goals this season, but early reports suggest he will be absent for two weeks. Madrid travel to Camp Nou to face Barca on October 28, which would leave little time for Benzema to prove his fitness.